The library has just installed new scanners at the circulation desks (1st & 2nd Floors) and on the Self-Checkout. 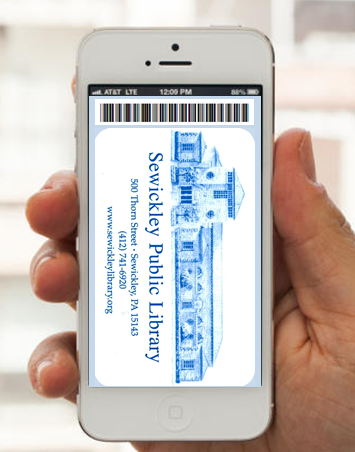 These scanners are equipped to scan your library card barcode when it is displayed on a smartphone screen. There are a few apps that have been around for while that we recommend. You can download either KeyRing or CardStar by visiting the app store on your device. You can also click on the links below when viewing this post from your smartphone. As always, if you need any help with accessing these apps or any other aspect of your smartphone tablet, you can make a Tech Café appointment at the Reference Desk or by emailing Meghan Snatchko at snatchkom@einetwork.net.